In 1936 on the way to a vaction in Europe, listening to the rhythm of the ship’s engines, he came up with And to Think That I Saw It on Mulberry Street, which was then promptly rejected by the first 43 publishers he showed it to. Eventually in 1937 a friend published the book for him, and it went on to at least moderate success. 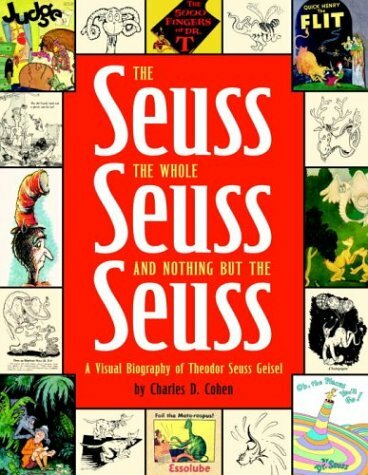 During WW II, Geisel joined the army and was sent to Hollywood. Captain Geisel would write for Frank Capra’s Signal Corps Unit (for which he won the Legion of Merit) and do documentaries (he won Oscar’s for Hitler Lives and Design for Death). He also created a cartoon called Gerald McBoing-Boing which also won him an Oscar.